The Whitsunday Islands offer many tours and many different ways to visit the beautiful island chain and Great Barrier Reef Marine Park. From sailing tours to luxury catamarans and aerial tours and jetskis - there is something for every type of traveller. Below we have listed some of our favourite tours of the Whitsundays. New Horizon is a fun overnight sailing tour that cruises the Whitsundays for 2 days and 2 nights. 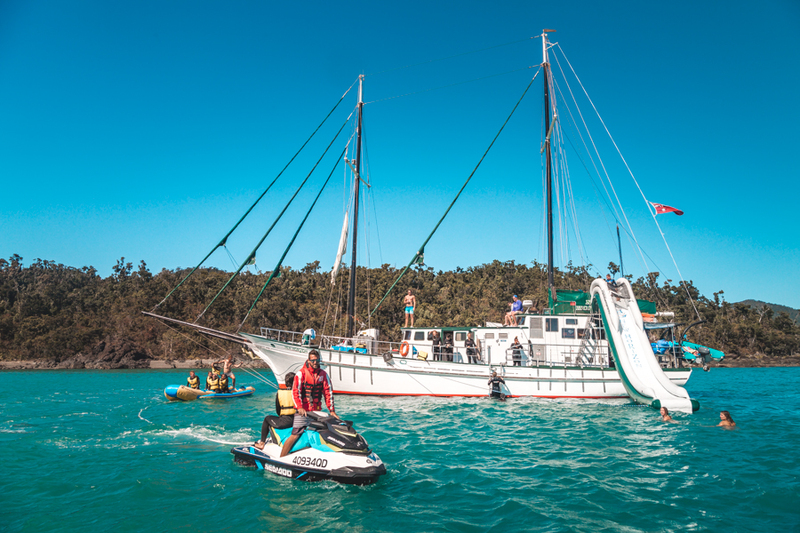 It takes 32 passengers and has a waterslide, paddleboards, a pirate plank, as well as plenty of stops along the way! New Horizon has a blended crowd and offers a fun social experience with shared accommodation for all passengers. 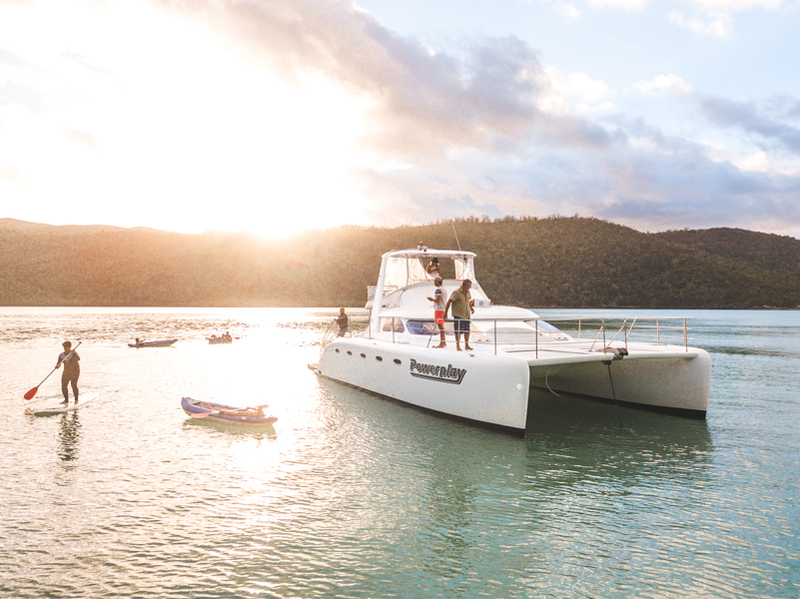 Powerplay is a power catamaran that sails the Whitsundays for 2 days and 2 nights. The dual hull provides a stable ride along the way, as well as plenty of space on board for relaxing. Powerplay has bow nets in the front as well as a fly bridge at the top, making for plenty of relaxing space. This trip also has kayaks, paddleboards and snorkelling as well as private and shared accommodation. Alexander Stewart offers an authentic sailing tour for 2 days and 1 night throughout the Whitsundays. This is a great option for anyone who is short on time but still wants to have a full-on experience where they will get to see and do it all! 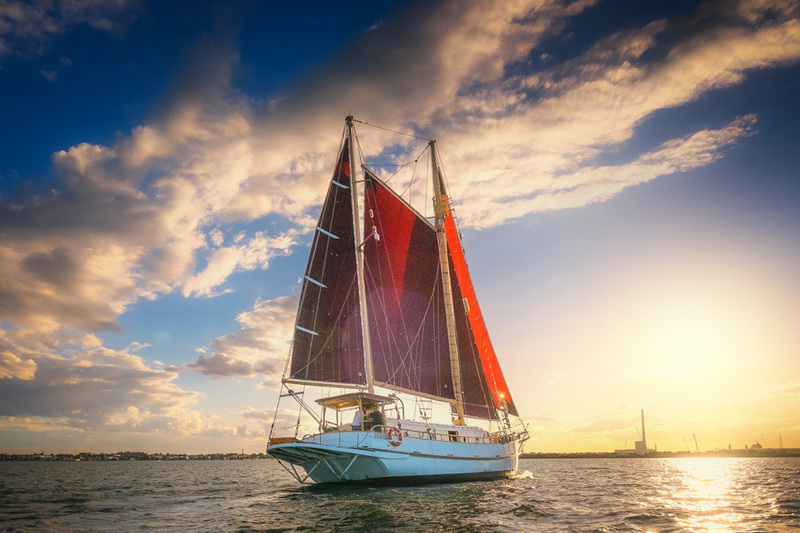 This tallship has both private and shared accommodation, an experienced crew and a fun action-packed itinerary. 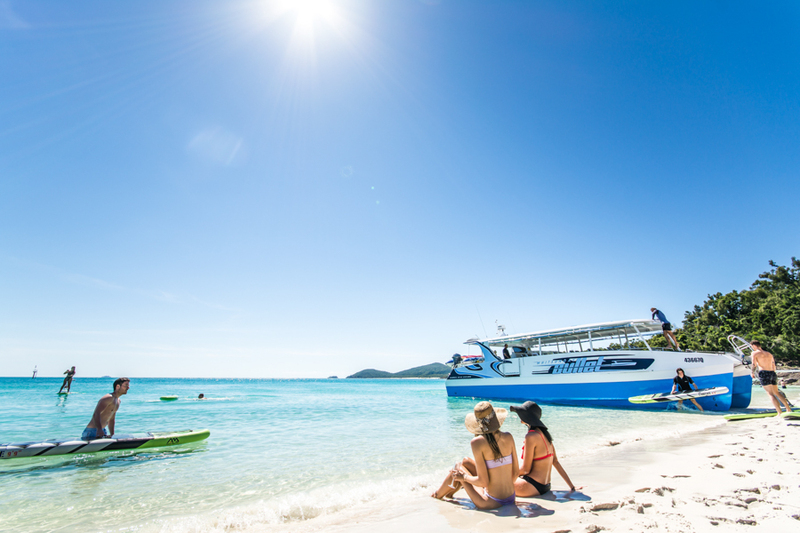 Bullet is one of the best day trips in the Whitsundays! This is great if youâ€™re short on time but still want to see all the best parts of the islands. You will get to visit Whitehaven Beach and Hill Inlet Lookout, as well as enjoy time snorkelling and stand-up paddleboarding. This fast catamaran offers a stable and fast commute, giving you as much time as possible at each destination. 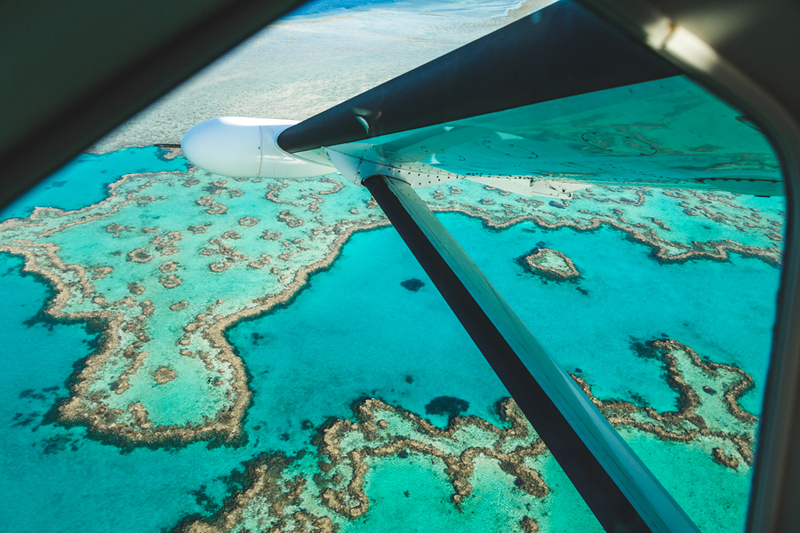 Seeing the Whitsundays from above is an experience unlike any other. During a 1 hour scenic flight, you can see the islands, Whitehaven Beach, the inner fringing reefs and the Outer Great Barrier Reef, including the famous Heart Reef. All guests get a window seat and will get to enjoy pilot commentary so they can fully understand all the amazing things they are seeing! You can also combine a scenic flight with Whitsunday Bullet for an all-inclusive combo package.